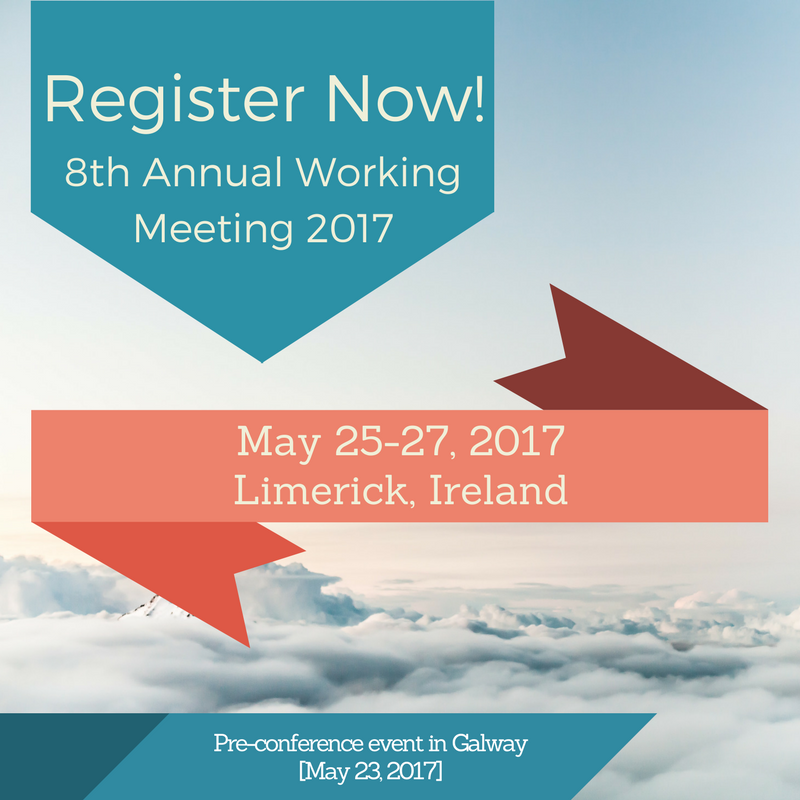 The 8th Annual Working Meeting will take place at the University of Limerick in Ireland from 9am on May 25th to 2pm on May 27th, 2017. Registration is now open for the 8th Annual Working Meeting until April 21st, 2017. There is no fee to register or attend the meeting. There will also be a pre-conference event taking place at the National University of Ireland in Galway on Tuesday May 23rd, 2017. Please visit the pre-conference 2017 page for further details. Cappavilla Village is located on the north campus of the University of Limerick overlooking the hills of Claire and with the River Shannon within ears shot and at point 38 on the attached map. This accommodation is just a short walk from the main bus stop on campus, and close to all meeting facilities. • Large bedrooms each furnished with a 4ft double bed and each with their own private ensuite bathrooms, guests can enjoy a shared fully fitted kitchen/living room and a comfortable lounge area. Our Village Managers are resident on site so they are always available to assist where required. Check in is from 2.00pm on the day of arrival. Check out is by 10am on day of departure. The rate is €49.00 per person, per night, bed & breakfast. Each room is dressed with crisp with linen, towels and toiletries. To book online, go to the following link http://campuslifeweb.ul.ie/LimerickBnB and use the code ICPHR17 in the promotion code box, and leave the Location Box at ‘Any Location’ to get the rate of €49.00 per person, per night, bed and breakfast.